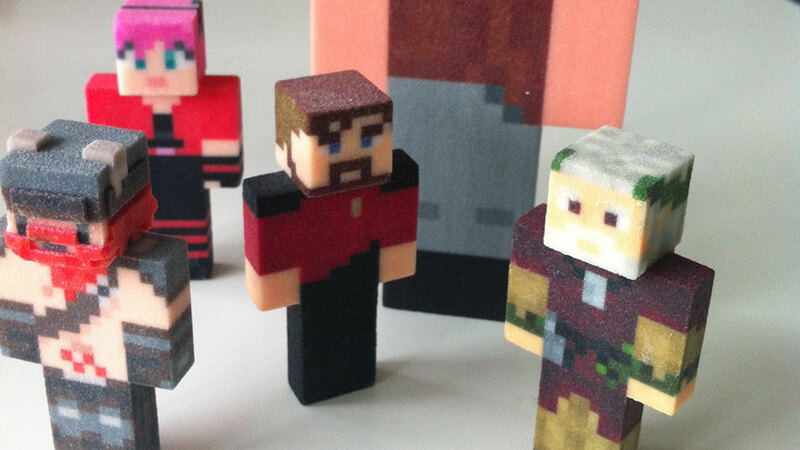 MineToys, equipped with a 3D printer and a desire to take your money, is an outfit that's able to take your Minecraft avatar and build an action figure out of it. A 6cm figure will cost you $US20, while the larger 12cm figures will set you back $US50. 3D printers may look magic, but they still have trouble with curved surfaces. In other words, this is perfect. When I looked the picture I tought they where candies. Now i´m hungry. wouldn't it be faster/easier/simpler to just use papercraft?